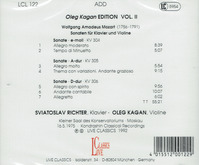 "Oleg Kagan was one of the foremost Russian violinists from the latter half of the twentieth century. While he developed a reputation on his own, many know him for his collaborations with pianist Sviatoslav Richter, as well as for his chamber music activity with a clutch of Soviet artists that included his first wife pianist Elisabeth Leonskaja, second wife cellist Natalia Gutman, pianist Elisso Virssaladze, and violist Yuri Bashmet. 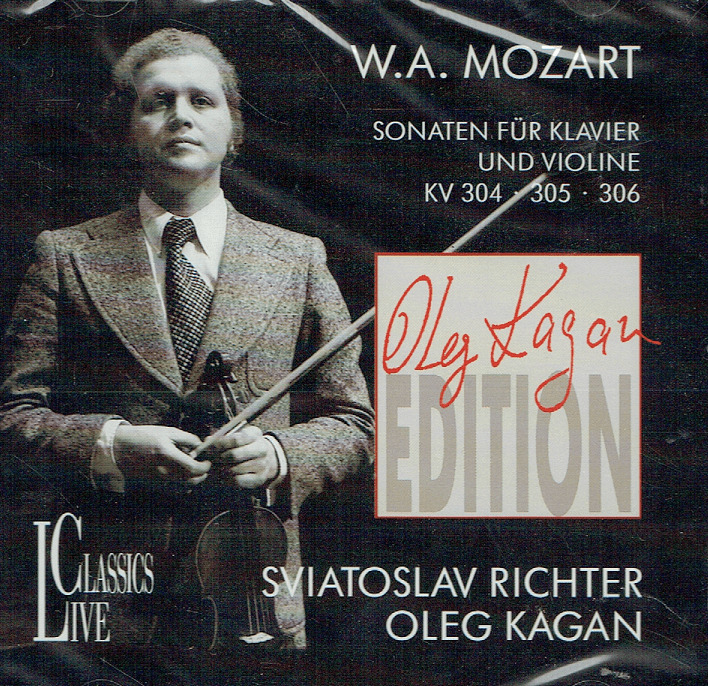 Virtuoso violinist David Oistrakh was an ardent admirer of his pupil Kagan, arranging for him to record all of Mozart's concertos while serving as his conductor in the enterprise. 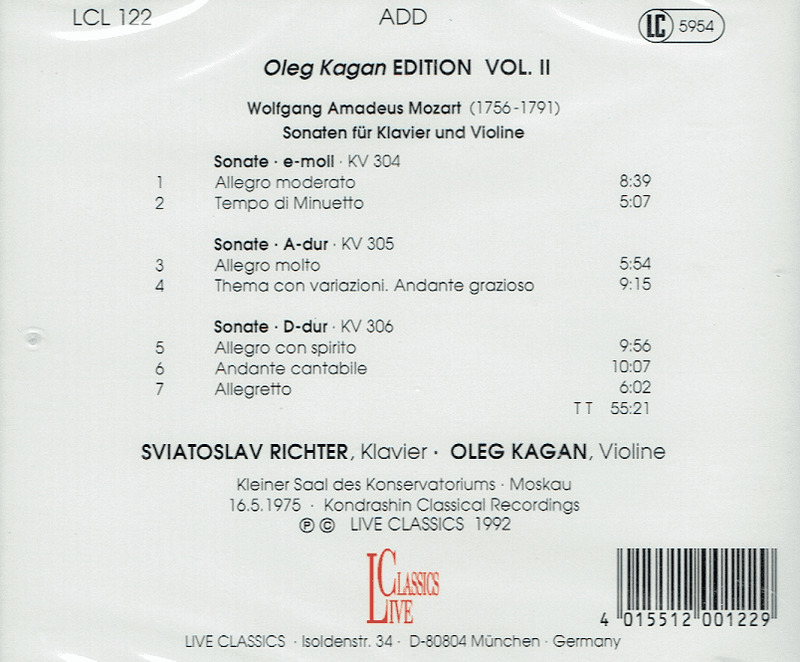 Though Kagan played much Russian music, including works by Shostakovich and Schnittke, he focused heavily, at least in the recording studio, on the Germanic sphere: Mozart, Beethoven, Schubert, Mendelssohn, and Brahms. Many of his numerous recordings were reissued on the German label Live Classics, EMI, and Olympia. As Kagan seemed to be approaching the zenith of his career he became seriously ill in 1989. He had several surgeries, but struggled to remain active, touring Europe when he could and arranging festivals. Though his doctors at a hospital in L�beck, Germany, declared him too sick to be released, Kagan discharged himself to appear at his final festival, in Kreuth am Tegernsee, Bavaria. Shortly after giving two Mozart concerts there, where he had to be helped on-stage, he died on July 15, 1990, not yet 44."